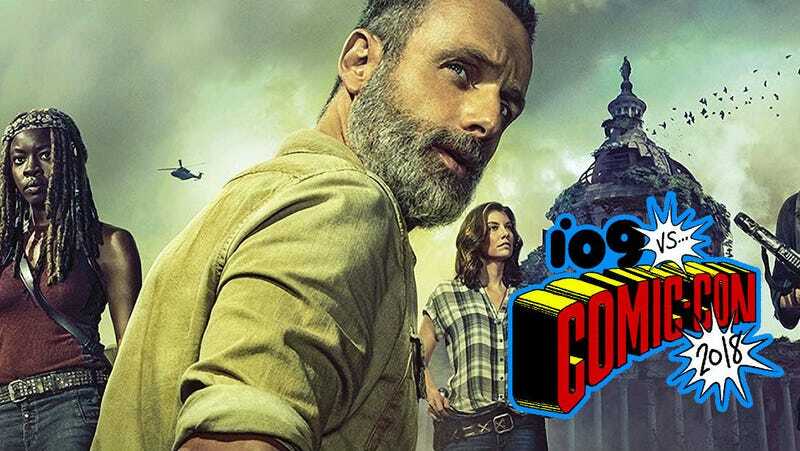 There’s a lot of things in flux for AMC’s The Walking Dead, which premieres in October. Sure, on the show, Negan has been defeated, and it looks like the survivors will finally live in peace. Spoiler: As the new Comic-Con trailer reveals, they won’t. But the real drama is behind the scenes. Well, with that out of the way. Much love was also heaped on this season’s new showrunner —the series’ fourth—long-time writer and executive producer Angela Kang. Norman Reedus said she has always been his favorite writer on the show. Producer Gale Anne Hurd called her “visionary.” And while Kang was great at teasing what’s to come, unfortunately, she wasn’t able to comment on some the other rumors. “There’ve been some other announcements other places but I can’t talk about those,” she said. Series creator Robert Kirkman did confirm, however, that actress Samantha Morton (Fantastic Beasts, Minority Report) will join the show playing Alpha, a very important character from the comics. That, of course, brings with it a huge other series of potential stories. Also, Gimple said this season will explore the past, present, and future of The Walking Dead world. Which could explain a few things. But basically, now that the war is over, things are changing. They’re getting better. Time has passed. Maggie had the baby. Finally, maybe, society can return. “This is the show I always thought we’d get to from the pilot,” Lincoln said. As the panel wrapped up, the entire cast and audience of Hall H rose to give Lincoln a standing ovation. The Walking Dead returns on October 7. Why do 2011 Ford Mustang driveshafts keep exploding?